they 3 are from Canada. the vocalist Luke LaLonde has high-pitch and clear voice, which is the feature of this band, and that's what I am attracted most. Their sound is quite simple, sharp. You can recieve mixture impression of youth and sophistication from their music. Their producer is Rusty Santos, who is very famous for working on records of popular musicians, like Animal Collective, Panda Bear, and Owen Pallett!! Here is the picture of original members. Recently I'm very mad about their new song called "What To Say". The video is also awsome. It expresses their sharpness, unique atmosphere. I love their minimum use of guitar sound. I think the song is the one of the best songs in 2010. Amazingly, Rostam Batmanglij who is a member of Vampire Weekend remixed this as his solo project "Boys Like Us"! 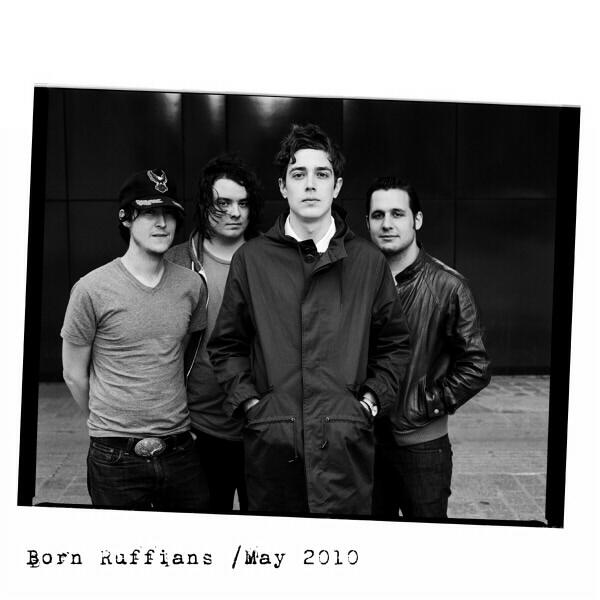 It sounds like Rostam plays together with Born Ruffians as their keybord player :) I enjoy with this imagination. and the live version of "What To Say" video! sorry for bad volume (too low...), but you can listen clean and beautiful sound. I was very surpriesed at that 4th member Andy Lloyd (not sure he is an official member or just a support member) belonged to Caribou before joining. 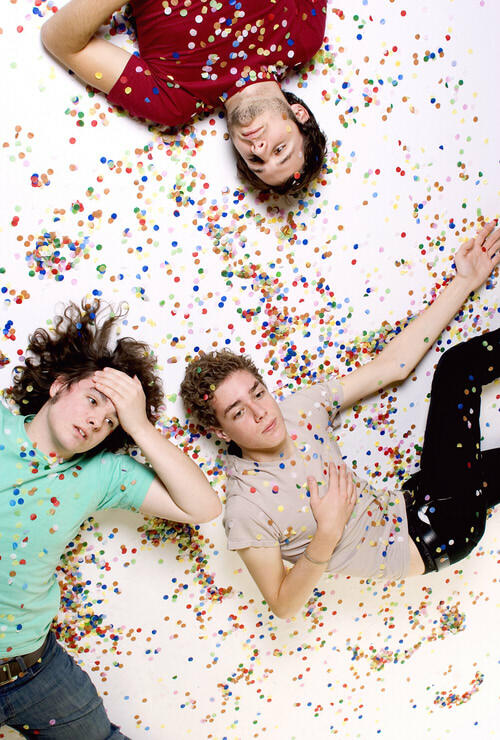 Caribou is also a Canadian band and the friends of Born Ruffians, they've been on tour or collaborated together (Luke participated in Caribou's album as a guest vocalist). it means Andy was headhaunted by them during tour. wow. anyway, check them and buy album "Say It"! Copyright (c)Painting Ball-Shapes All Rights Reserved.